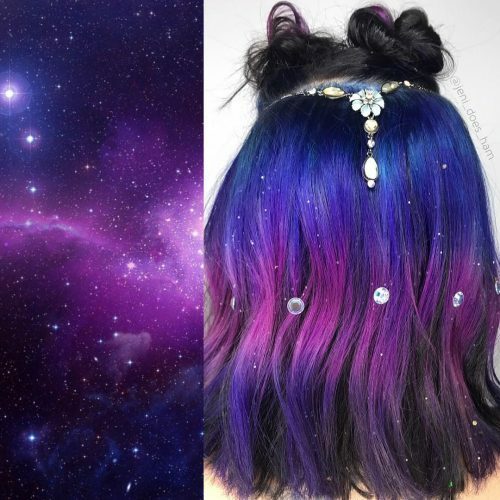 The galaxy hair trend started several years ago and it’s not going away anytime soon! 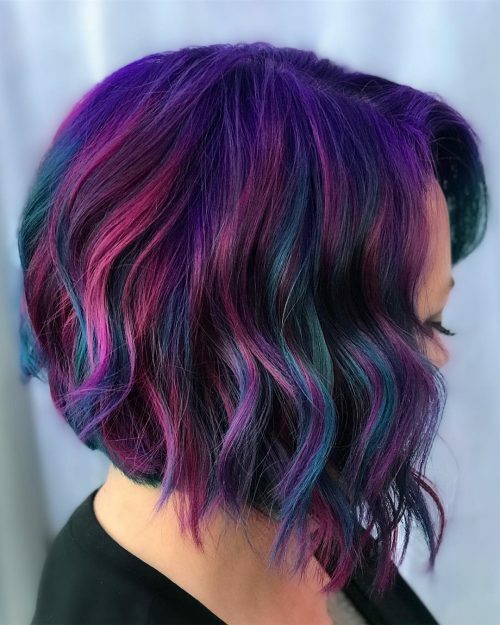 What better way to express yourself and your connection to the universe by crowning your head with these amazing colors of the cosmos?! 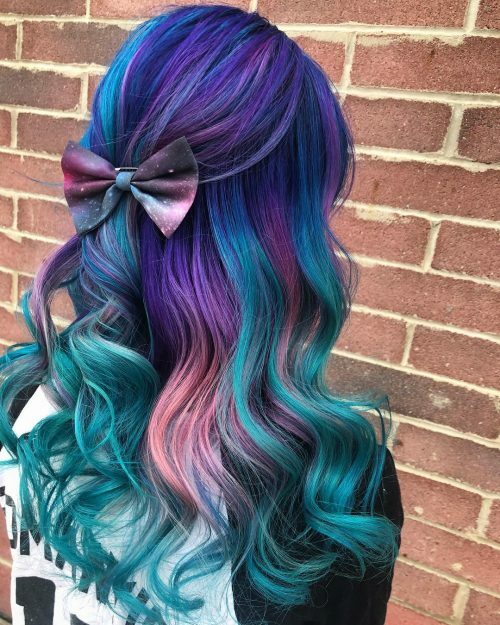 Galaxy hair is achieved by coloring your hair with the various blue, red, pink and purple colors we see in distant galaxies. As you can see from space photos, there many shades of blue, red, pink, and purple to choose from. Even though the photos we see are digitally colored, they are what we’d truly see with our naked eyes if we got close enough. These various shades come from the light band we see, which is often based upon the age of the star and can often be distorted by space dust. 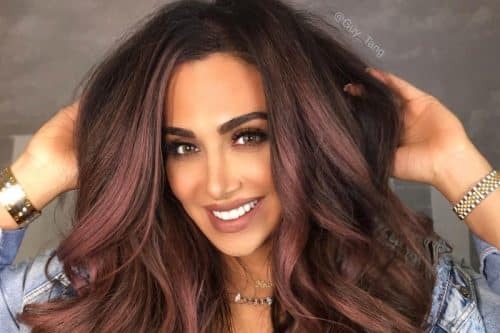 Below, I’ve put together a collection of photos from world-renowned hair colorists who’ve created some incredible galaxy hair colors. 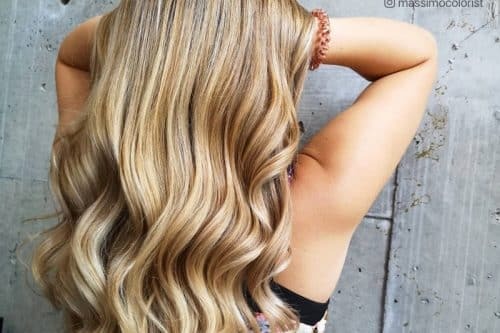 Note that these are fashion colors, so they can fade quickly without the right care, such as washing your hair with special color shampoo, using cold water and washing as little as possible. Also be sure to prepare yourself for a full day at the salon. 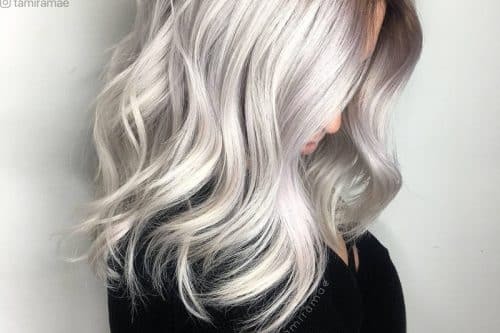 It can often take 3-5 hours to get this galaxy color, so plan accordingly! 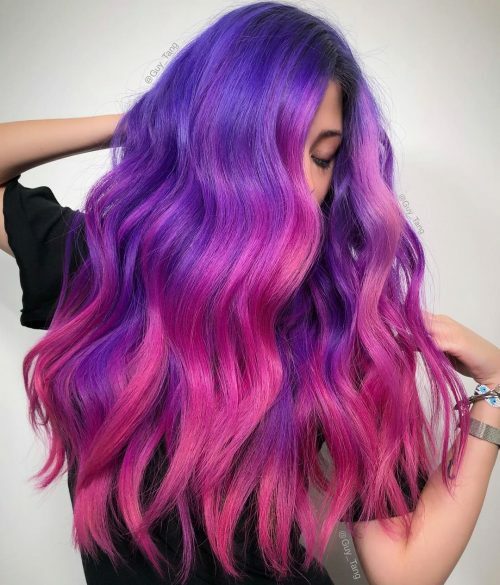 There is no better combination in the galaxy than lavender and magenta, and this color melt has proven it. These two colors were done with such seamless blending that it’s difficult to point out where they meet! 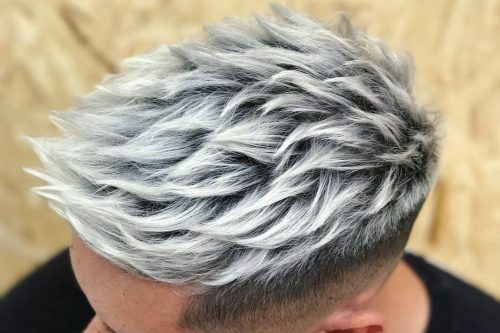 This features an incredibly vivid hairstyle for guys looking to spice up their old boring haircut. 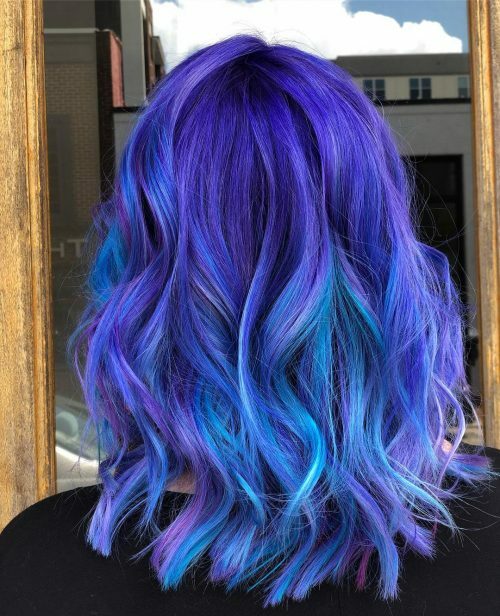 Work that fade with a blend of dark purple while keeping the top a cool icy blue for a really dimensional and eye-catching result. 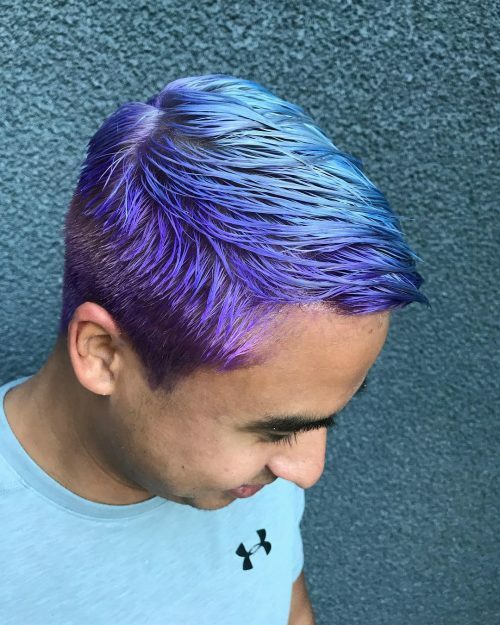 The expertly painted colors in this stylish hair proves that having enough imagination can do wonders! 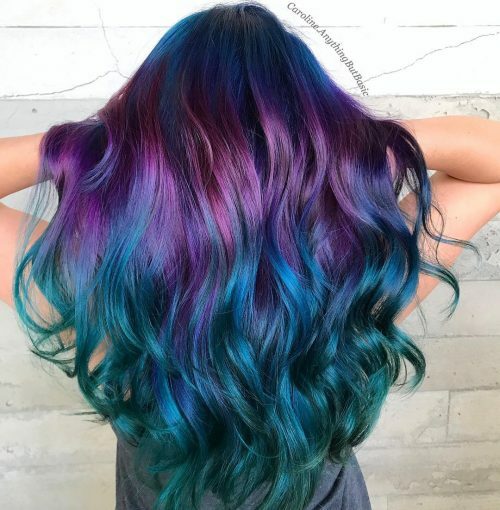 This wild mixture of shades of aquamarine and purple gives this balayage a lot of movement and texture, making it so versatile to style. 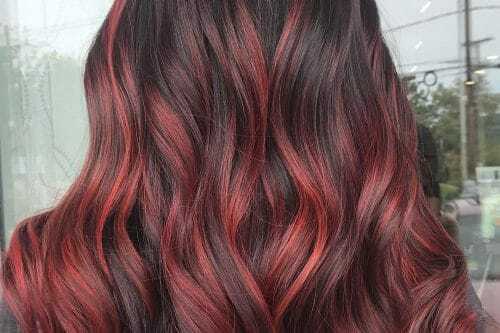 This strong and deep balayage hair is truly attention grabbing with its vivid colors that suits fair skin tones. 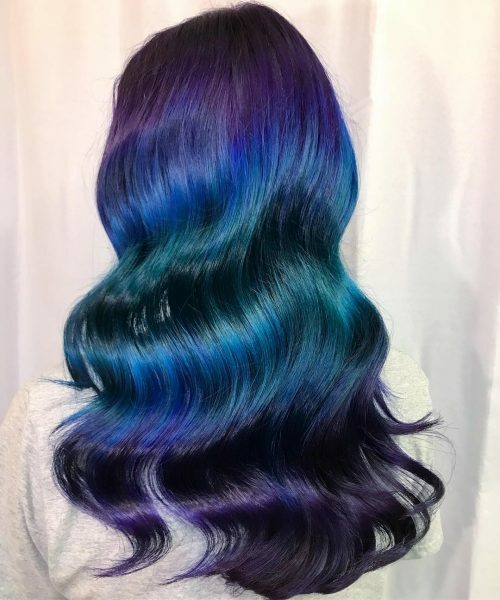 The aqua blue starts off at the roots and ends into a bright teal, with purple as a transition shade. These multi-toned look manages to look this beautiful with each deep shade seamlessly blending into each other. 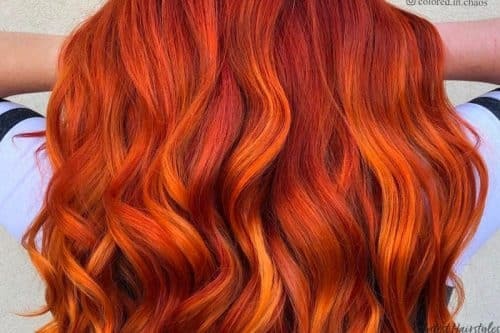 The result is so smooth and vibrant enhanced by the big waves, and is sure to suit all hair types with the right upkeep. 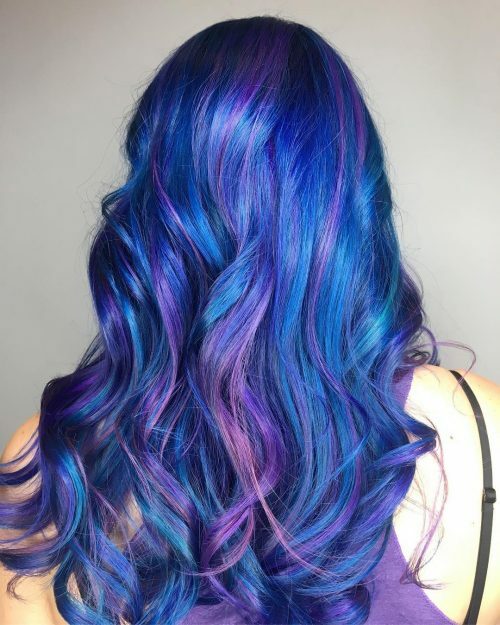 We’re deeply in love with the creative blend of rich blue and purples in this style. Stylist Jeni incorporated buns and stellar accessories, adding a magical and unique touch to the look that anyone can recreate. 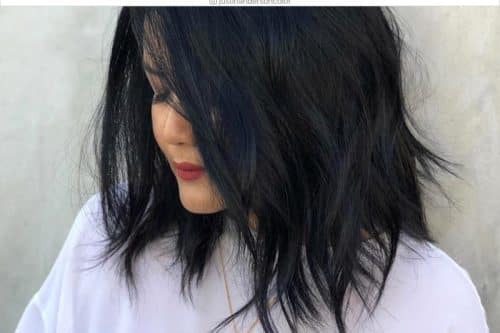 This two-toned blue balayage is a magnificent mixture of cold shades of aqua that suit most skin tones. 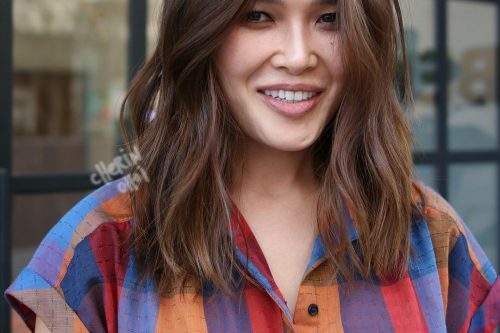 Maintaining the dark roots saves you visits to your stylist, and the waves make an effortless easy look. This marvelous gradient begins in a vibrant purple and slowly fades into a lightened pastel blue. It’s super great for those with fair to neutral skin tones and for medium to lengthy hair. 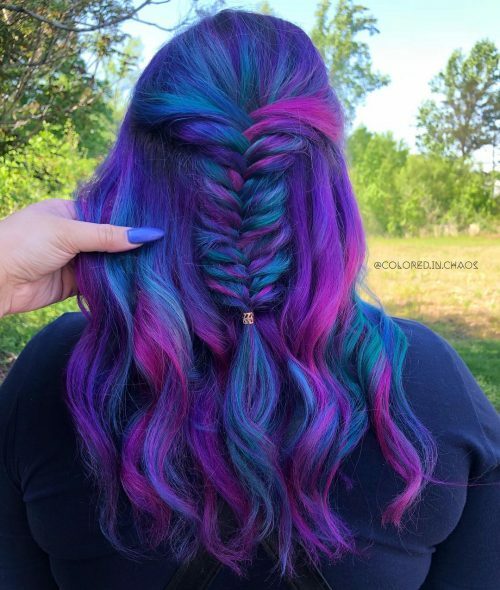 These galactic colors are so rich and blended to perfection that they make the hairstyle so unique yet versatile. 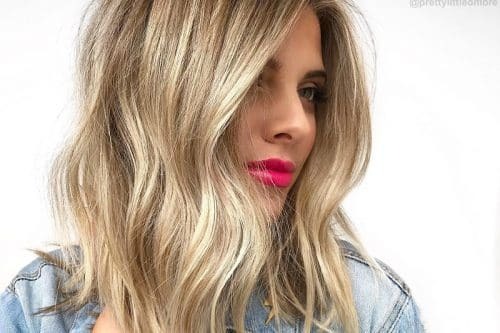 Starting with natural dark roots can lessen your trips to the salon, so you can keep this look for a long time. 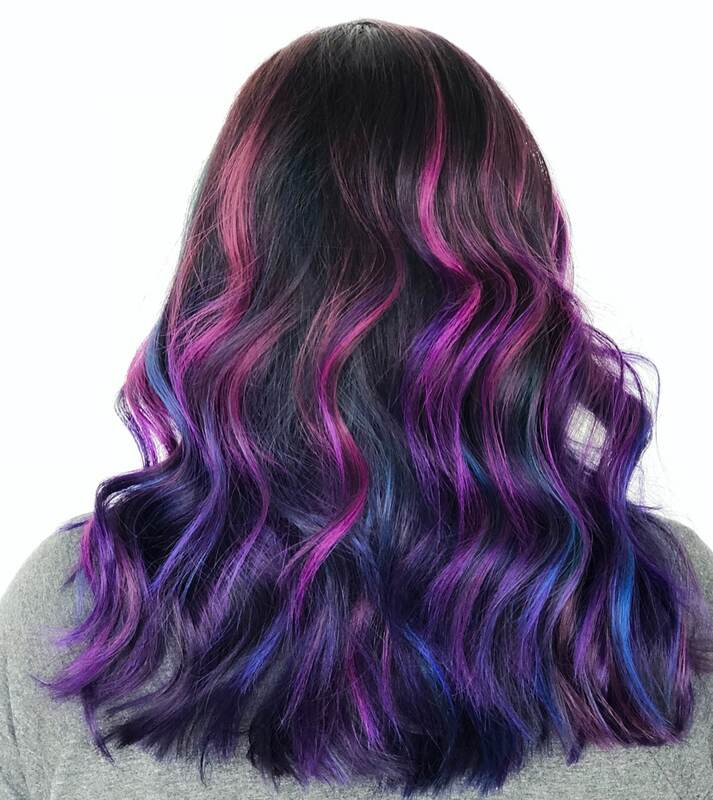 This beautiful three-layered ombre defines movement by starting off with deep violet roots that fade to a vibrant magenta then to a cool blue. 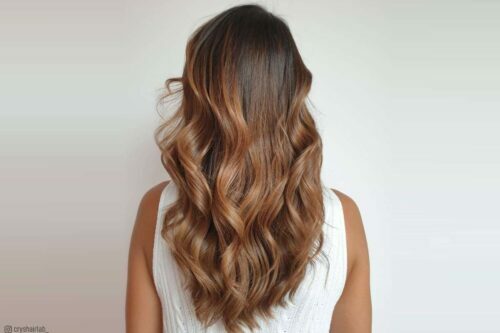 If your hair lacks life and dimension, there is no way you can go wrong with this wavy style. 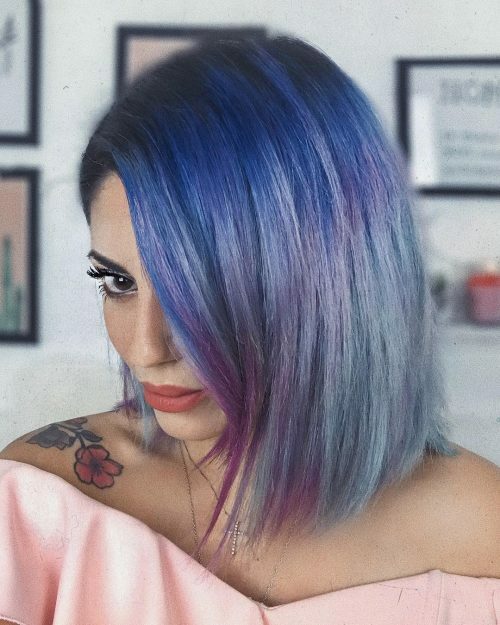 This seriously dreamy hairstyle begins with a cool and rich purple with dark roots and transitions out into blue streaks. The gradient is so subtle, you don’t even notice it without the brightening effect of those white highlights. 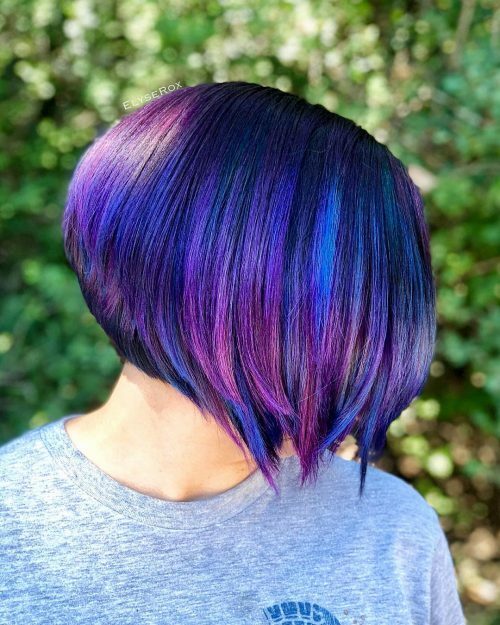 This is definitely the smoothest purple bob that you’ll see – taking on a cool purple base that transitions into a vibrant blue then a beautiful violet, all in all, creating movement and dimension. 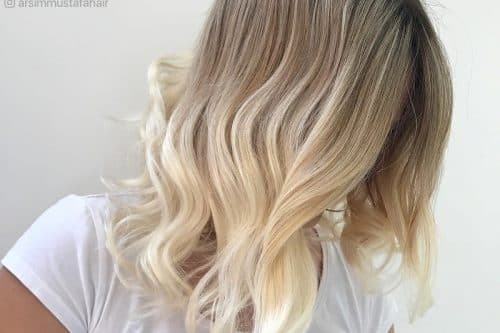 You are sure to fall in love with this short color-popping hairstyle! 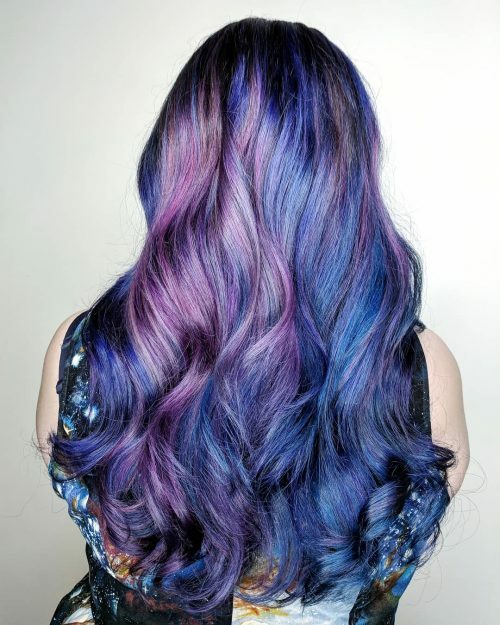 Infused with purple streaks on a rich blue base, this hair got a lot of texture together with that messy wave. 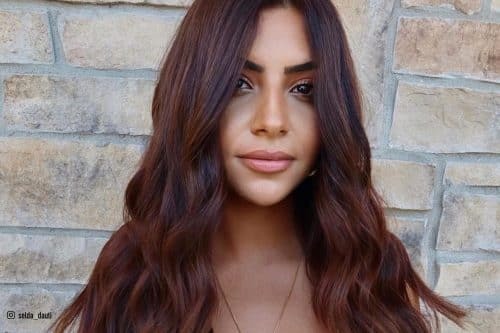 A brilliant proof that braids and dyed hair are stunning together. 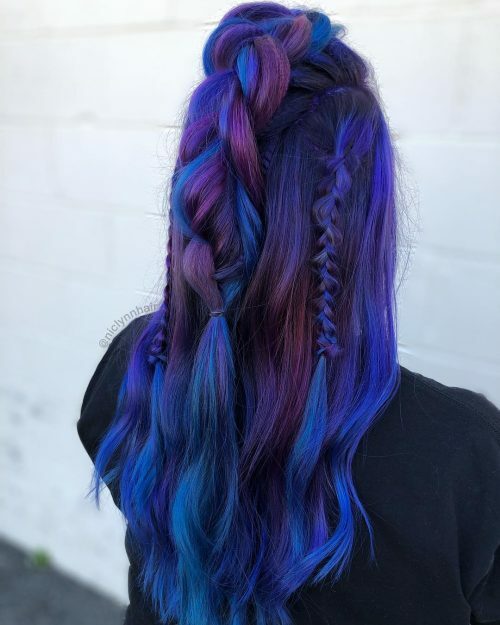 This look incorporates perfectly placed shades of purple and blue highlighted by a thick center braid and two cute loose braids at both sides. 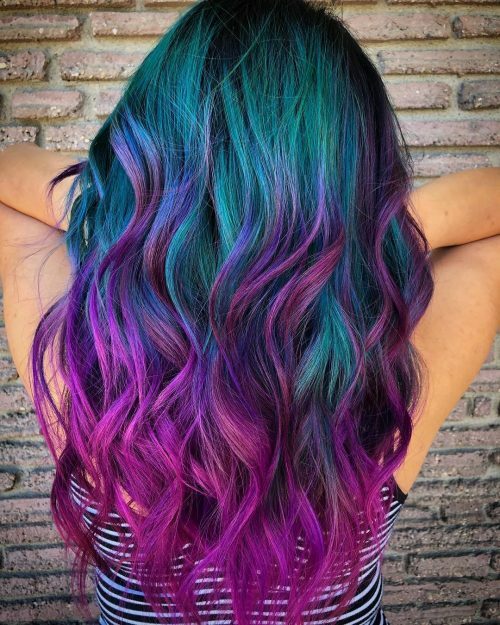 This vibrant mermaid hair color is sure to stand out with its aqua and purple blend. Half of the hair was pulled into a wide loose braid which is a super easy and casual semi updo that enhances the whole look. 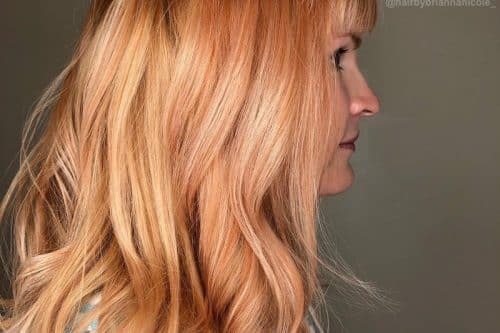 This truly magical ombre is a unique blend of fashion colors from roots to ends! It takes on alternating blue tones and purple to lavender ombre that is unraveled by that matching bow. 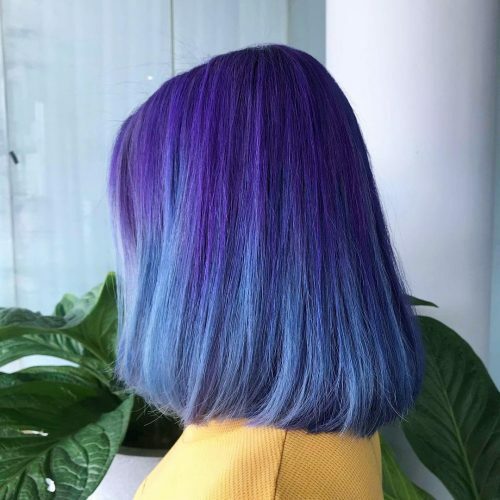 Stylist Maki Mak decided to have fun with these funky waves by painting one side more pink and the other bluer, and it turned out mesmerizing! 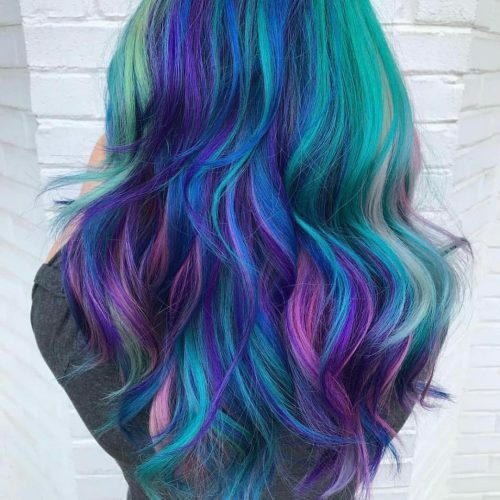 You can never go wrong with these colors if you have a fun imagination and, of course, a pro stylist! 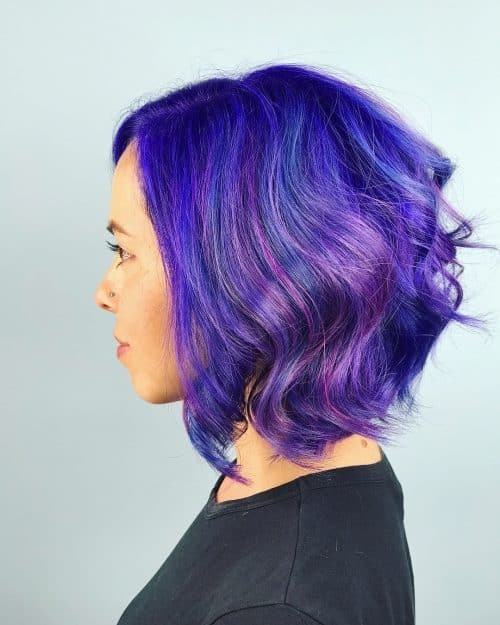 It’s totally possible for any hair length to have this magical color melt of purple, teal, and magenta. These electric shades will need high and regular upkeep, but for sure it’s gonna be worth it. 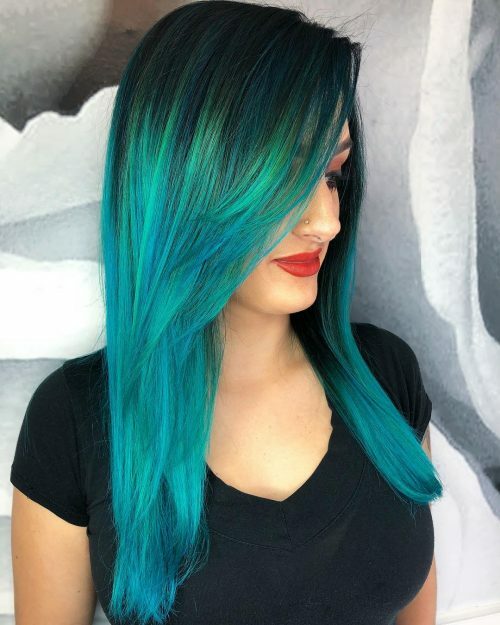 This gradient teal is amazing for ladies who want to get an experience with this color. It starts with a dark base and transitions into a vibrant lighter shade that is electrified by pieces of neon green. 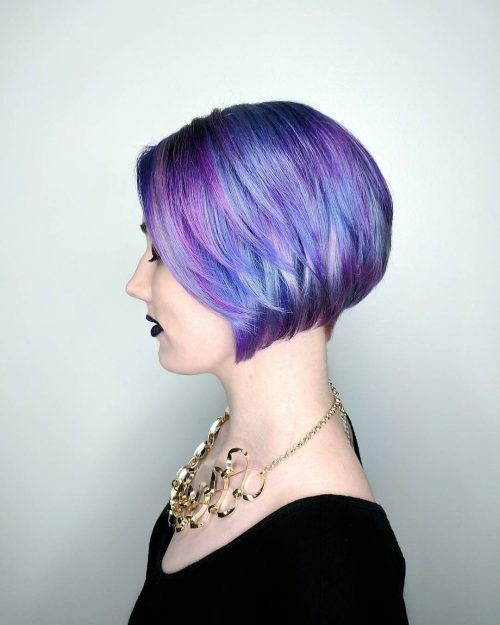 Spice up your shoulder-length straight hair with a super edgy purple lavender melt like this one. 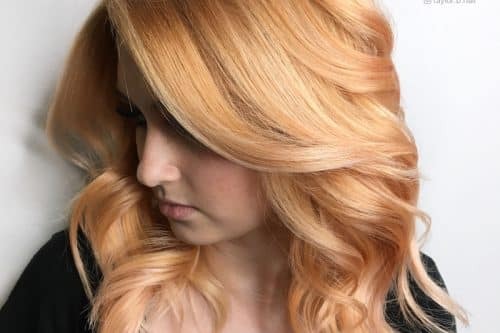 One trick to have an easier maintenance is to keep your roots dark, so you won’t have any problems with the grow out. 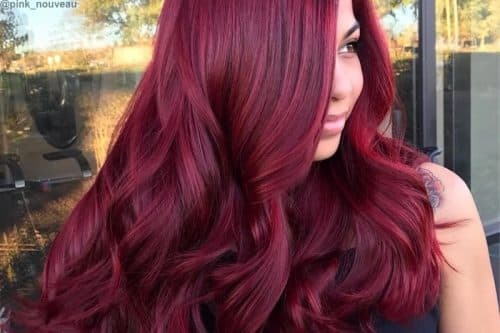 You can always paint your hair with these funky fashion colors if you’re tired of your old plain black hair. This a marvelous way to show off your personality and be unique with your style. An enchanting work of art right on your hair to stun people with – this look will make you feel like a mermaid! 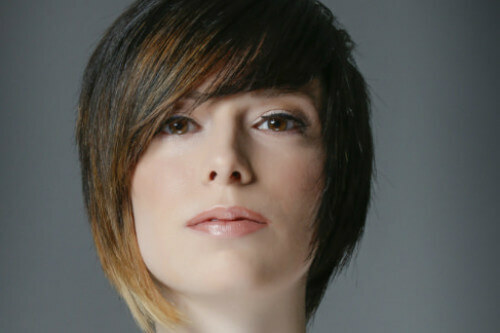 You don’t need to wear super stylish outfits as this hairstyle will do perfect just by itself. 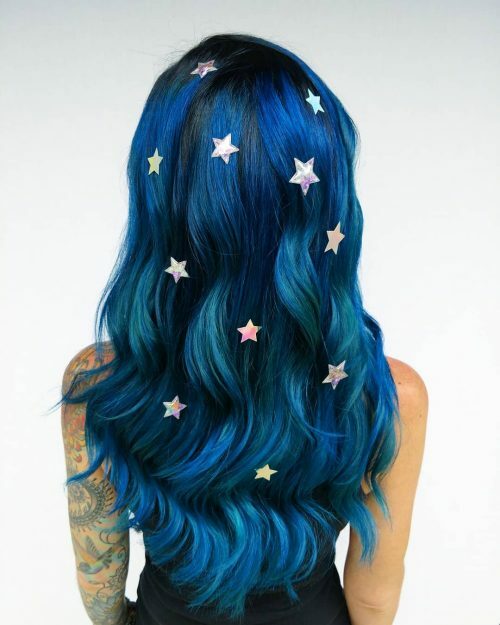 Feel all the vastness of the galaxy right in your hair with this top-notch paint job! 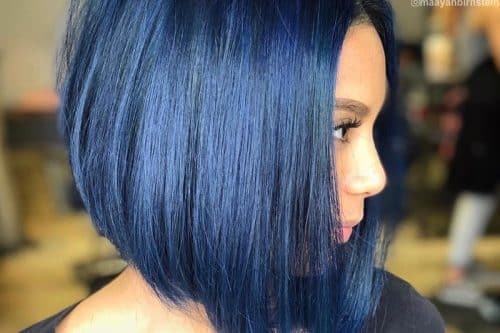 It doesn’t matter if you have a short haircut – it only matters if you’re brave enough for a high maintenance yet super fun look like this!